Ningbo will cooperate with Latvia in building a China (Ningbo)-Latvia Cross-Border E-Commerce Bay. China Mobile Ningbo recently launched a microwave-supported 5G base station on Qilizhi Island in Zhenhai district, Ningbo. The original Yue Opera Library was performed on a trial basis in Ningbo, Zhejiang province on April 10. The Ningbo Maritime Court (Yiwu) Circuit Court was launched in Yiwu on April 9. 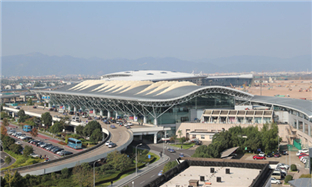 The city of Ningbo in East China's Zhejiang province will launch direct flights to Tokyo and Seoul this year, the city's Lishe International Airport said. The Beethoven Easter Festival of Poland, who invited Ningbo Symphony Orchestra to give a performance.